When your coffee, vending or water service provider isn't reliable or responsive, your working life suffers. If you're being under-served by an unenthusiastic or under-capitalized vendor who cannot reliably offer you the best quality foods, coffee, and snacks along with exemplary customer service, don't suffer in silence. 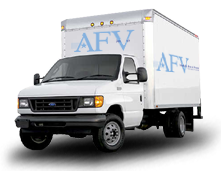 If you're uncertain as to how your present provider compares to the service and products you would receive at American Food & Vending, please take the following brief survey. When you do, one of our representatives will call to offer you a no-cost, no-obligation evaluation of your current refreshment services. Has the current service provided you with proof of insurance? Does your current route person wear a uniform from the company they represent? Does your current service perform in-depth background checks on all employees? 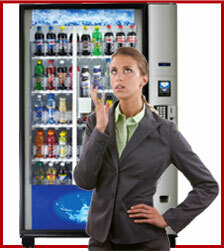 Does your current services have glass front beverage machines? Is your snack machine often out of stock of your favorite items? Do the money acceptors rejects your money on regular basis? Do the vending machines look dirty or is the glass hard to see through? Do your current machines accept $5, $10, or $20 bills? Does your current service utilize wireless devices or hand hand help devices to track sales? Can your make a purchase with a credit card? Is the current vending supplier quick to respond to your requests? When your money is lost in the machines are refunds processed promptly? Does the current supplier rotate in new products? Do you find a lot of products in your machine that are out dated? Are the products in your machine brand name products?